Skeptical that the world could ever be a horror flick. Watch for the man behind the door. Like bread crumbs along her escape route to freedom. He can’t get you if you open the door hard enough. 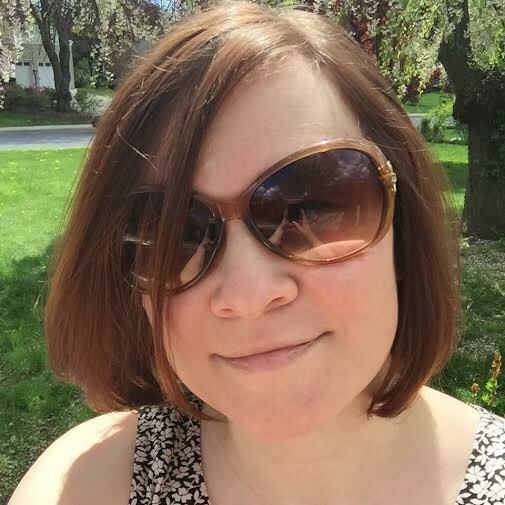 Sarah Clayville is a high school teacher and freelance editor in a lovely town in Pennsylvania. Her poetry and fiction can be found in journals such as The Threepenny Review, StoryChord, Literary Orphans, Mixtape Methodology, and other places. She is also a poetry and nonfiction editor for the online journal Mothers Always Write and at work on a young adult novel and chapbook. You can find her thoughts on writing and other publications at SarahSaysWrite.com. Previous Previous post: Where in the world is Meg Drummond-Wilson?